Merry Christmas everyone 🙂 I’ve been busy with holiday gatherings, party preparations and other holiday whatnot but I managed to (finally) take a few photos of the manicure that I have been wearing for the past week. This itself is amazing because I never wear my nail polish for this long without chips or extreme tip wear. For this manicure I started with 1 coat of OPI Base Coat to prevent staining. Dark polishes tend to stain my nails and this is one of the few base polishes that I have tried that works 100% of the time. 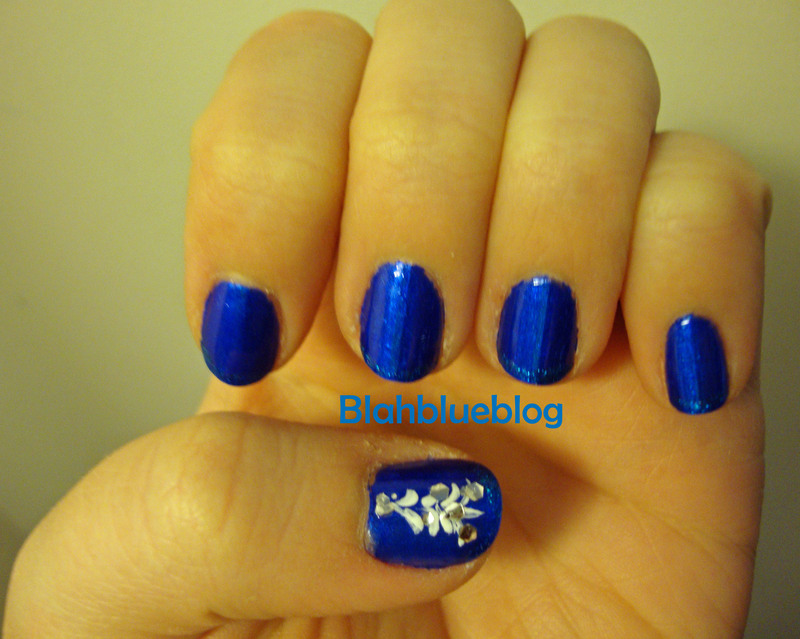 Then I used two coats of China Glaze Frostbite an almost metallic deep blue. After a few days of Frostbite I decided to mix it up a little and add a few festive details with nail art pens and glitter polish ( please excuse the horrid photos). 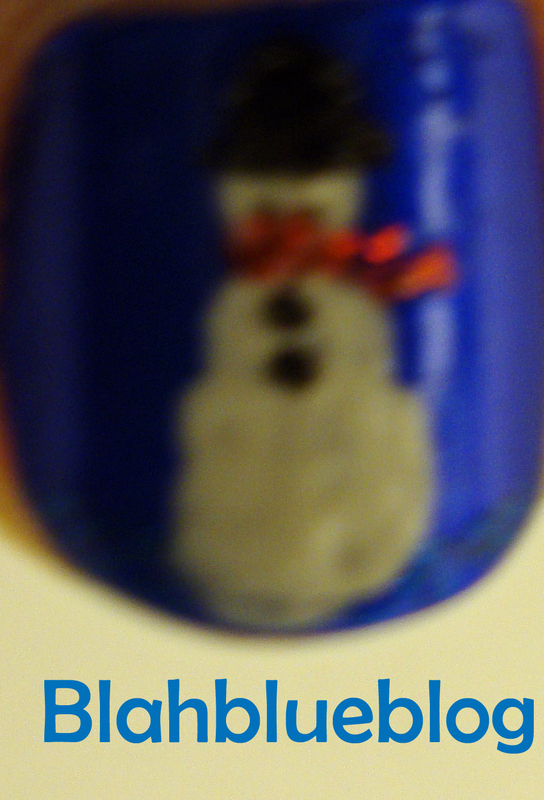 I love how festive my nails look after adding the snowman and snowy christmas tree. For Christmas day I will be wearing a different special manicure so there will be more holiday posts soon.